In an interview with Entertainment Weekly, newcomer Ray Fisher talks about being taken by surprise by Warner Bros. and DC Comics’ planned stand-alone Cyborg movie. Fisher is also confirmed to appear in Batman v Superman: Dawn of Justice and Justice League Part One and ‘Justice League Part Two’. 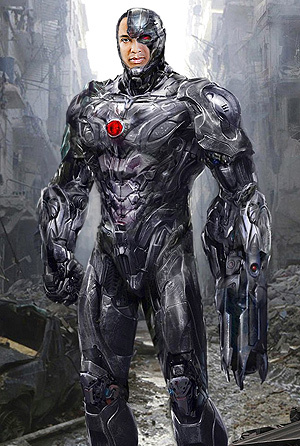 ‘Cyborg’ tells the story of Victor Stone (Fisher) whose body parts are replaced by advanced prosthetics after he’s injured in an accident at S.T.A.R. Labs, a high-tech research and development facility, introduced in ‘Man of Steel’. Cyborg made his first appearance in 1980’s “DC Comics Presents” #26. Created by writer Marv Wolfman and artist George Pérez, the character is best known as a member of the “Teen Titans.” In the “New 52” continuity, he’s a high school athlete who, after getting caught in a S.T.A.R. Labs explosion, is given powerful bionic abilities that lead to him becoming a founding member of the Justice League.